A “well-known and loved” editor who became production director at a family-owned newspaper publisher has died aged 64. 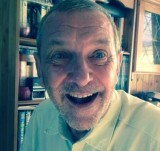 Tributes have been paid to former Stourbridge County Express editor and editorial director John Clegg, who was also part of the launch team of the Birmingham Daily News. During a career spanning five decades, he also served as production director for Observer Standard Newspapers and later Bullivant Media. John, pictured, retired from Bullivant due to ill-health in 2012. He died peacefully at home on 2 September. He began his career as a trainee reporter at the Smethwick News Telephone in the early 1970s, where he eventually became chief reporter, before moving to the Walsall Observer as sports editor. Later he became editor, then editorial director, of the Stourbridge County Express. John moved into the production department with the advent of new technologies, which he pioneered as production director at the launch of the UKs first free daily newspaper the Birmingham Daily News in October 1984. He is survived by his wife Pam Thomas, his three children and four grandchildren. “Away from newspapers John was a dedicated fan of West Bromwich Albion FC, and a season ticket holder for both home and away matches. John’s funeral will be held at Stourbridge Crematorium at 2.50pm on Thursday 20 September. Donations to Marie Curie and Ward C5 Russells Hall Hospital in his memory can be made via N.E. Downing on (0121) 422 2794, or on the day. RIP John – a wonderful character, good fun and a hard worker. He helped me and the Daily News make history in 1984. Goodbye old friend, many a battle fought, many a dragon slayed.